With the rapid growth of the elderly population and an increasing life expectancy, Elder Brinkman’s medical malpractice attorneys encounter a growing number of negligence claims against assisted living facilities. The experienced medical malpractice lawyers at Elder Brinkman defend assisted living facilities and their staff from allegations of malpractice, negligence, abuse and other claims. Family members initiate many of the claims filed against assisted living facilities — and what they consider to be a legitimate negligence claim may simply be the result of a misunderstanding. Even if these claims are unwarranted, they can destroy the facility's reputation and cause additional harm for many years thereafter. Our criminal defense attorneys are familiar with all local, state and federal laws and regulations relevant to these cases. 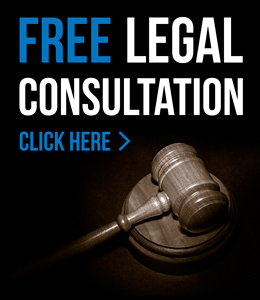 Our knowledgeable and aggressive defense attorneys focus on protecting facilities in cases involving allegations of neglect, abuse or mistreatment — along with claims related to alleged medication errors, injuries sustained from accidents and falls, ulcers, bedsores and elopement, often due to Alzheimer's or dementia. For more information about the assisted living facility defense attorneys at Elder Brinkman Law or to schedule a free initial consultation regarding a medical malpractice issue, contact our office today or call us directly at 313.582.5800.